How much is it to go to the Maldives? This is probably the most commonly asked question regarding a holiday in Maldives. 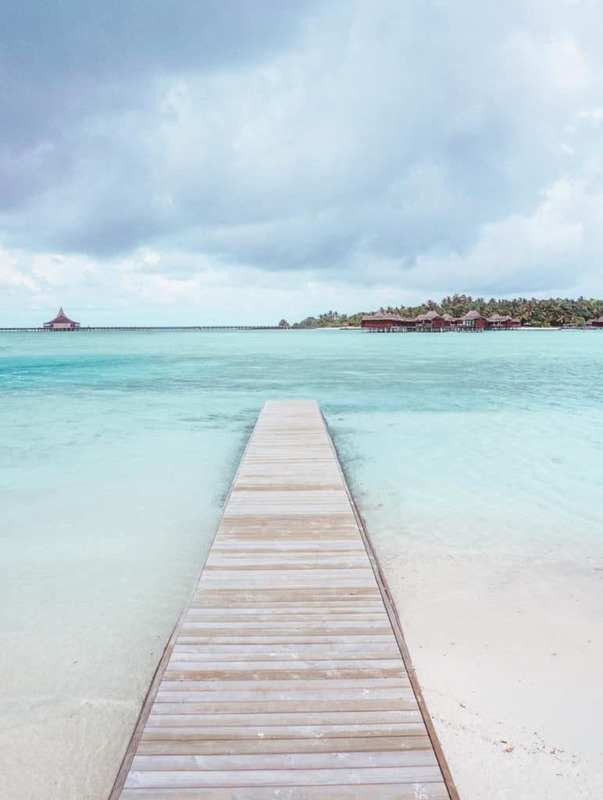 Many people would love to go to the Maldives, but they think it’s way above their budget and instead of researching how much is a holiday in the Maldives, they just give up on a trip to paradise. 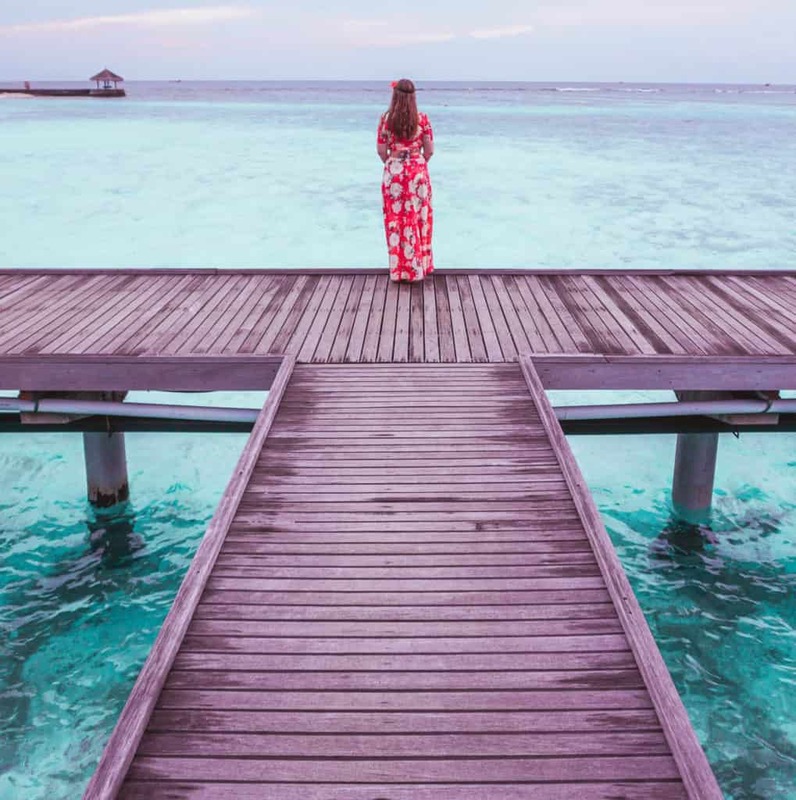 In this post, I wanted to tell you a bit more about a cost of a holiday in the Maldives and how much does the overwater villa in the Maldives cost? Choosing a good resort in the Maldives is complicated! 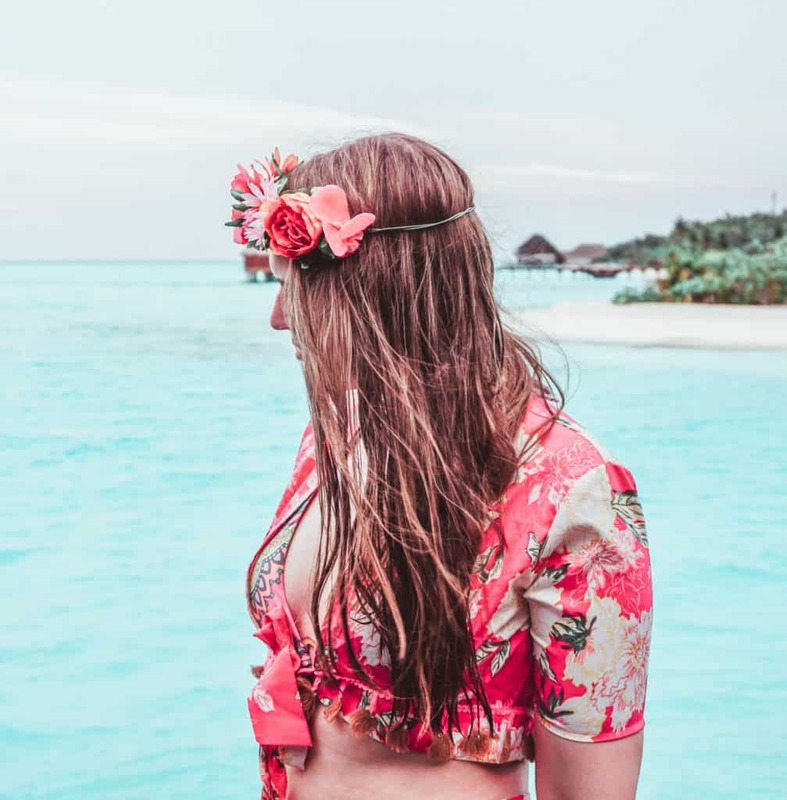 Read my post about the best way to choose a resort in the Maldives and what to know when choosing one. Wondering WHEN to go to the Maldives? 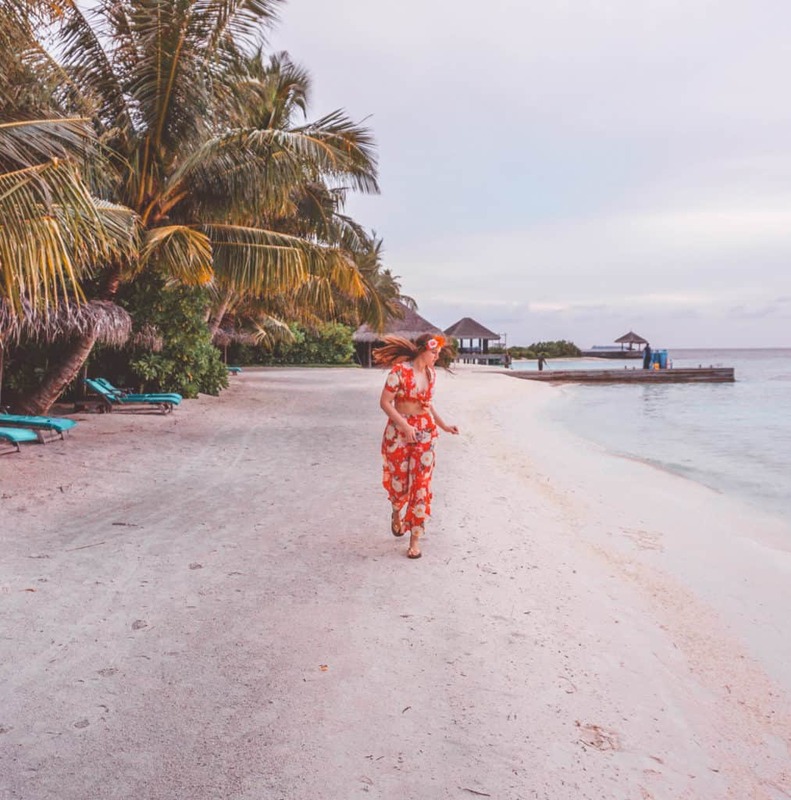 I’ve got you covered with this post about our experience in May & what to expect in the Maldives during other seasons as well! Well, yes and no. It doesn’t have to be very expensive, as there are plenty of guesthouses where you can stay for less than $100 per day (with Full Board included – that means 3 meals a day, which is pretty much all you need). However, if you want, it can be insanely expensive! The most expensive hotel in the Maldives costs about $10000 a night. Okay, now you know a bit better what exactly you can afford and for what price. You might be surprised, but very few resorts in the Maldives actually have an all-inclusive food plan. The most popular plan is breakfast only. That means you’ll have to pay for a lunch and dinner separately. The average price for a dish at a resort in the Maldives is $40-60, so be prepared to spend $140-300 for a dinner for two including resort tax and the service charge (almost 30% in total). If you’re staying in a Guesthouse, there will be budget-friendly local food options and the food prices won’t be very high (you might spend $300-500 for a week for two people or even less). A very important and just as well very expensive part of the holiday in the Maldives is actually transportation. Some distant resorts require two additional flights from Male – a domestic plane plus a seaplane. Some guesthouses also require you to take a domestic flight. The prices for a seaplane vary from hotel to hotel, but usually, it’s from $600 to $1400 for two, while the domestic plane is way cheaper – $70-160 per person. You might also require a boat ride and depending on the length of the boat trip, it could be $100-500. Make sure to include it in your budget. How much was our trip to the Maldives? I have received many questions regarding what we have spent in the Maldives. Our trip definitely wasn’t cheap. We flew with Emirates (one of the best options when it comes to flying to the Maldives) and the tickets were around £650 per person. We paid £1300 for 4 nights in Anantara Veli because we had a 20% discount provided by the company I where I work + $400 for the transfer and, finally, we paid around £500 for food (for 5 days). In total, we spent about £3400 on a 5-day luxury holiday for two. Obviously, it’s not what we normally spend on our trips (we aren’t millionaires), but it was worth it for such an unforgettable trip. Hope this post was useful for you! Liked this post about how much is a holiday in Maldives? Aware of the cost of a holiday in the Maldives now? Great! Please support this blog and share this post on Social Media if you can.